This article is an analysis of what happened back in October during the NotOnSteam sale- many of the developers are still selling games on or off Steam, and some are still trying to get votes for Greenlight - they can still be purchased at NotOnSteam.com. 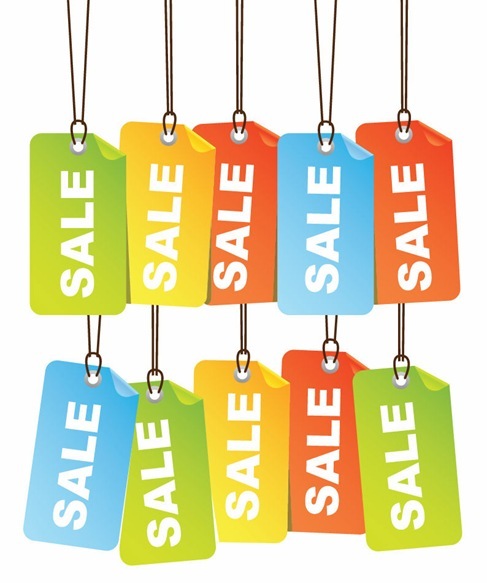 The NotOnSteam sale was an online event that Flippfly hosted in early October of 2013. 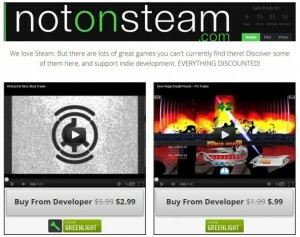 Over 60 developers sold their games at a discount and Flippfly posted a collection of trailers, purchase widgets and links to Steam Greenlight pages at NotOnSteam.com. Our goal was to get developers to share their audiences with one another in order to increase the exposure of all games involved, get these games some press attention and, for those who were interested, to get votes on Steam Greenlight. We didn’t curate the games that came onto the site- we reached out a handful of devs and a number of them reached out to us once the sale had started, some of the games were already quite popular, some had sold fewer than 100 copies, two games even used this as a launch event. The NotOnSteam sale included 63 games. 42 of the developers of these games responded directly to our survey. 2/3 of developers who responded to our survey and participated sold 9000 total copies and games on Greenlight gain an average of about 600 ‘yes’ votes. Assuming these games represent and accurate average, we may have sold 13.5k games and added 42k Greenlight votes during NotOnSteam. NotOnSteam did not make anyone fabulously wealthy. Our top sellers (or top greenlight vote-getters) sold fewer than 2000 games apiece (with an average of about 200) and may have added as many as 3000 votes on Greenlight (with an average of about 700) through NotOnSteam. In general most games fell well below these averages with a few big sellers and vote getters pulling the average way up. Most games got a modest but respectable sales and vote increase, and a handful did enormously well. 3 out of our 5 lowest sellers were games that have NO presence on Greenlight and have no intention of moving to Steam. This suggests that a presence on Greenlight in some way encourages sales, even off of Steam. It’s impossible to say whether it’s because Greenlight acts to increase discovery and awareness of these games, or if there are people who simply take a game more seriously if it’s on Greenlight. Either way all 20 of the top 20 sellers ARE games that were on Greenlight at the time of the sale. Conclusion: This is a tough one. There are plenty of reasons NOT to put your PC game on Steam ranging from ideological to economic, but it does seem that this format provided more help to games that were on Greenlight. Developer Takeaway: All other things being equal- if you have a game and you’re trying to get people to notice it you should consider putting it on Greenlight or be prepared to work extra hard to get people to take notice. We didn’t notice much of a difference in terms of how many sales were added based on previous sales, or the amount of time a game had been out- popularity on Greenlight counted for a lot (see below). But the top 5 sellers on NotOnSteam were 2 games that had sold more than 10k copies and 2 that had sold less than 100. In general that’s what we were hoping for- a great equalizer where games competed on even footing and new or less known entrants could compete alongside others. Conclusion: In NotOnSteam everyone is basically sharing their fanbase and media reach. Anyone who is referred to the sale through your Twitter or Facebook posts likely has already purchased your game, so your clout won’t count for a lot. Developer Takeaway: Your success will likely be proportional to the size of the sale, not the size of your game. Larger indie devs can benefit from being in a sale like this but can’t rely on their size to carry them, if anything they may have to work harder. It’s hard to quantify appearance, and there’s no accounting for taste but it’s hard to deny that some of the games that sold best were those whose videos stood out most when scrolling quickly over the long list of 60 games. Fotonica, for example, presented a striking black and white image and was in the top 5 sellers in terms of sheer volume. 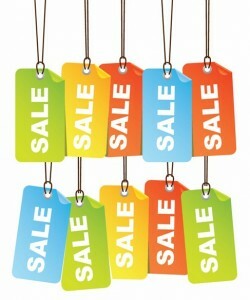 In addition, all of the top 5 sellers offered at LEAST a 50% discount, another way to stand out. It’s worth noting that these games also did well in terms of greenlight “yes” votes, all but one of the top 5 sellers got more than 1000 votes during the NotOnSteam sale. Conclusion: There are a LOT of games on NotOnSteam. With only a few days for people to make their purchases at a discount, visitors will naturally gravitate towards games which catch their attention visually and deals which they feel highly motivated to take advantage of. Developer Takeaway: To gain maximum advantage on these kinds of sales make sure the frame of your video or the graphic that users see stands out, and make sure to be generous with discounts if your aim is to get on Steam or increase your reach. If you’re not into offering discounts – and there are a lot of reasons not to offer deep discounts – don’t expect much from these sales. A few of those who declined to answer our survey wrote us emails that basically reinforce this point, stating things like “I’m not filling out the survey because my game didn’t do well, but I blame the game” or “It wasn’t you, it was me”. NotOnSteam made it possible for a number of games which were popular on Greenlight, but had not yet passed through into Steam to sell a large number of copies in spite of having little effect on their Greenlight numbers. A handful of games with 5k or even 10k ‘yes’ votes on Greenlight experienced only very modest growth in terms of votes, but were among the biggest sellers in NotOnSteam. Conclusion: A lot of people may be chomping at the bit to buy games they see on Steam Greenlight but may not have the energy or the knowledge of how to go and get those games directly from the developers. NotOnSteam (and other sales and bundles like it) creates an accessible location for excited fans to go and get the game early. Developer Takeaway: If you’re a developer with a game that’s nearing its goal on Greenlight and want to reward your would-be early adopters and get yourself a little more financial runway, an off-Steam sale could be the way to do it. Steam Greenlight can effectively create exposure and demand for your game even if it doesn’t get to Steam. Just think of all of those thousands of people clicking “yes, I would buy this” after seeing your game. For developers with a large audience outside of Steam the NotOnSteam sale seems to add a substantial number (hundreds or thousands) in about half of the time. The NotOnSteam sale also seems to pretty reliably add votes, possibly by reminding people who already know your game to get over to Greenlight and show their support. We enjoyed running NotOnSteam and it seems like almost everyone who participated came out at least a little bit better than they were when they started in terms of sales, Greenlight votes or media coverage- which was all we wanted. We’re pretty happy with the results of NotOnSteam- overall, if the sale did a little good for a lot of indies then that’s more than enough for us. The developers who were involved in it pretty universally found it helpful in terms of sales, and those who aimed at greenlight or wanted media attention were - We’re glad that people found it useful and maybe we’ll do it again in 2014.